The Gymstars program is an advanced recreational program for girls & boys (boys program offered in Richmond only) ages 4 & up. It provides opportunities for children to become more involved in gymnastics via more practice time in the gym for skill development, and participation in special events such as fun meets and gymnastics shows. All our programs will develop not only gymnastics skills but a gymnast’s overall physical literacy, which includes development of the physical and motor attributes; strength, power, endurance and flexibility, as well as balance and spatial awareness. The Gymstars Program is a 10-month commitment beginning in September and continuing until the end of June. We offer Mini Gymstars for boys and girls ages 4-6 yrs (Richmond & Surrey locations), and Gymstars for girls ages 6 yrs & up (all locations) and boys ages 6 yrs & up (Richmond location only). 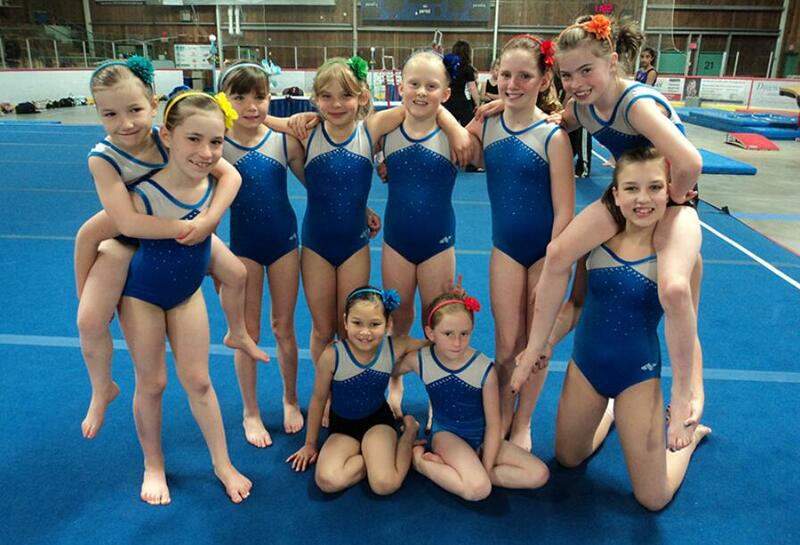 Depending on age, ability and level of commitment, Gymstars may train anywhere from 3-9 hours per week. Participants will commit to attending practices twice a week, and attending 4-5 weekend fun meets/gymnastics shows per year.